As the Yankees 2016 campaign began, a familiar face was left out of the Yankees rotation. 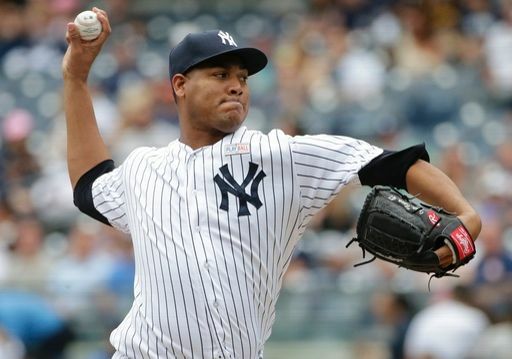 Ivan Nova accepted his role in the bullpen and knew eventually, his number would be called. He’s now made two consecutive starts for the Yankees and is quickly earning a spot in the rotation going forward. Before you jump all over me, yes, I’m aware it’s only been two starts, neither lasting longer than 81 pitches. That said, Nova has transformed himself into the picture perfect pitcher for Yankee Stadium. In his last two starts, he’s recorded 23 groundouts Although he doesn’t yet qualify for the category, Nova would be the league leader in ground ball to fly ball ratio at 1.87, 0.12 higher than the current league leader Marcus Stroman. Nova, like he did in the second half of the 2013 season, has simplified things and is throwing two pitches, sinker and curveball. His power sinker has allowed him the ability to record countless outs on the ground and keep the ball in the ballpark, something he’s struggled with in years past. The hammer that Nova features has always been his bread and butter pitch and it’s the one pitch he gets the most swing and misses with. 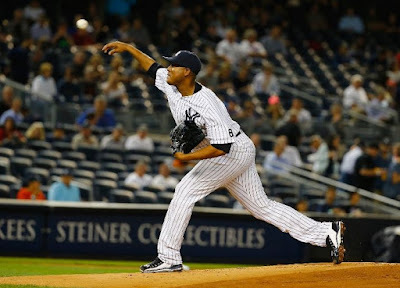 With Luis Severino heading to the 15-day disabled list and CC Sabathia already there, there’s a spot in the rotation for Nova every fifth day. When Sabathia returns, he’ll undoubtedly rejoin the rotation, but there’s no guarantee for Severino who’s been awful this season. In both of Nova’s starts, he’s allowed just one run. In a very small sample size, Nova has shown he is ready to take the fifth spot in the rotation and is ready to run with it. We do, however, need to see a few more starts with similar results before Yankees manager Joe Girardi makes anything official. The Yankees desperately needed this jolt of life he’s inserted into the pitching staff. Every fifth day was turning into an automatic loss and that is unacceptable with the way the rest of the division is playing. The Yankees decision on the that final rotation spot – when everyone’s healthy – needs to be made based on who’s giving them the best chance to win now, not on who has the greatest potential for the future.